If you’ve made the decision to start a blog or even if you run an existing blog, it’s important that it is hosted on a properly optimised web hosting plan. 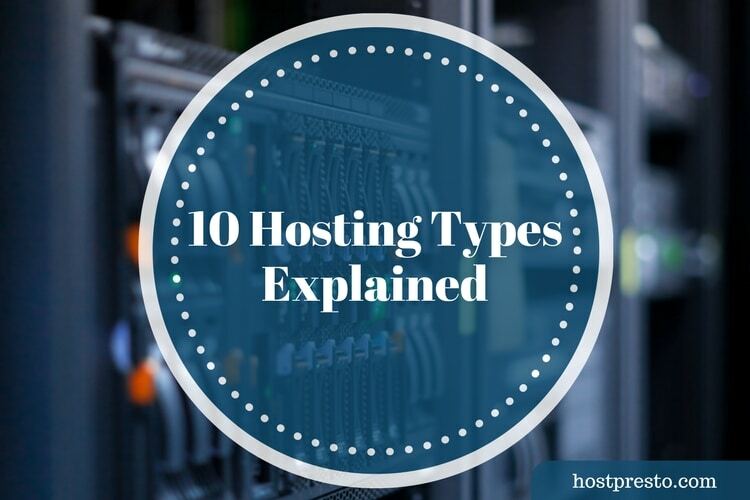 Sure, you can host a blog on pretty much any plan out there from shared plans right through to dedicated server options – but all of them still need to be optimised properly if you want to get the most of your blog and serve your readers properly. 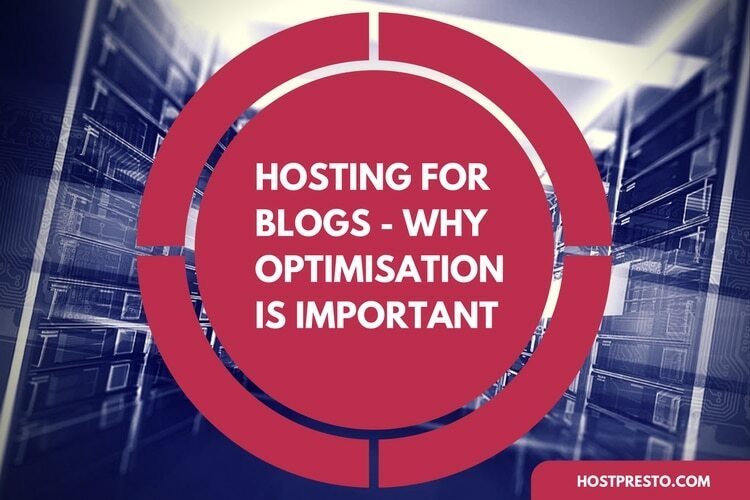 So today we’re going to run through why optimised blog hosting plans are important and how they differ from traditional, off the shelf options. The key is in the detail, small changes here and there can lead to huge performance gains. Particularly if you’re running a blog with a lot visors and a large readership. But regardless, a lot of this stuff is considered best practice and is really the sort of thing you should be doing from day one, regardless of how server intensive your blog is. One of the core reasons for optimising a hosting plan specifically for your blog is to increase reliability. Wordpress in particular when coupled with a significant influx of traffic is not the most reliable platform. Database issues are frequent as are lapses in connectivity in general. Simply tweaking a few settings on the server itself can go a long way to alleviate any such issues and with most blog hosting plans, this is done from the outset. 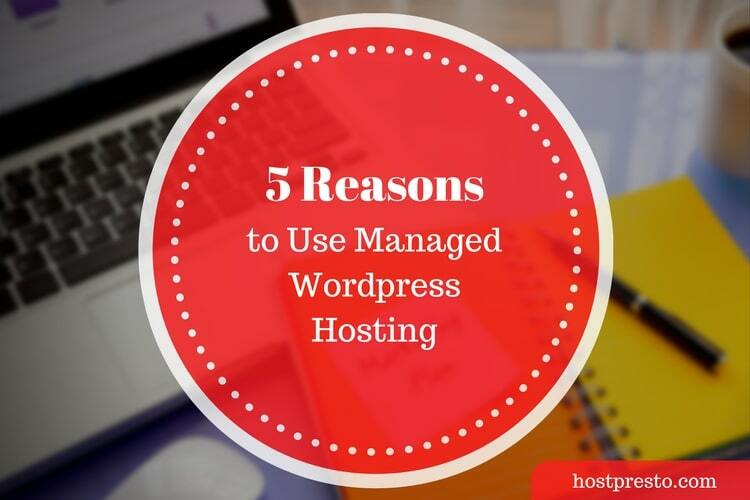 You also know that with a blog hosting plan that you’re not going to run into any missing library issues or modules not installed/configured which are required by most common blogging platforms. Speed is another reason to optimise your blog hosting plan. You should endeavor to serve your website/blog as quickly as possible. This gives your users the best experience and can also help with your SEO and search engine placement efforts. Wordpress in itself is quite bulky and can be somewhat server intensive out of the box. When you couple that with lots of different plugins and theme files you’ll quickly come to realise that your plan and install in general need to be properly optimised. An experience blog host such as HostPresto.com will be able to handle this for you. Security (risks) pose a huge problem for any blog. Old plugins, old theme files or simply those that are poorly coded can present untold issues. Given the popularity of Wordpress and the sheer amount of sites using it that makes it unfortunately a target for hackers. Regardless of blog, visitor numbers and so on. If your blog has security issues, rest assured someone will find a way to exploit it. Usually just for fun. With this in mind, you need to take your blog security seriously. The last thing you want is someone stealing your data or altering your website for their own gain. Proper optimisation and security analysis should alleviate any potential issues before it’s too late. Most people tend to address potential issues that could be solved with proper optimisation when it’s already too late. Sure, nothing is ever beyond repair but if you’re aware that you’re going to run into issues down the line, usually when your traffic increases, why not nip it in the bud from the outset? Choosing a properly optimised blog hosting plan is usually enough to address any potential issues surrounding speed, reliable and security from the outset leaving you free to promote your blog and grow your traffic. Using a proper blog host such as HostPresto, you’ll find that your support requests are handled a lot faster and resolved without issue. This all comes down to experience. HostPresto deal with Wordpress security and optimisation issues on a day to day basis and fortunately most issues are common across all customers. Fortunately, this means that they can be addressed from the outset before they even become apparent and all of the optimised Wordpress plans on offer come full optimised and secured as standard. A good web host such as HostPresto will either be able to optimise your existing hosting plan to deal with the demands of your current blog or they’ll be able to point you in the direction of properly optimised blog hosting packages from the outset. You can see our Wordpress hosting offerings here which all come fully optimised for Wordpress right from the outset. Using packages such as these will save you an untold amount of time in the future and should help prevent issues becoming truly issues preemptively. Of course, you could always stick with one of the traditional shared hosting plans for your blog too. The choice is yours and HostPresto will always do its utmost to accommodate you.